Every 1st and 15th day of Lunar calender my mom will offer huat kuih and fruits to our ancestor and god on the prayer alter.These days my mom make her own huat kuih instead of buying from market.As promised ,I brought few Wilton's food coloring for my mom to make her huat kuih.Since I'm free and idling,I offered to help my mom making huat kuih by scooping and steaming.That is all I can help since my mom prepare all the huat kuih ingredients early in morning.Did you see the different between the pink and orange color huat kuih? 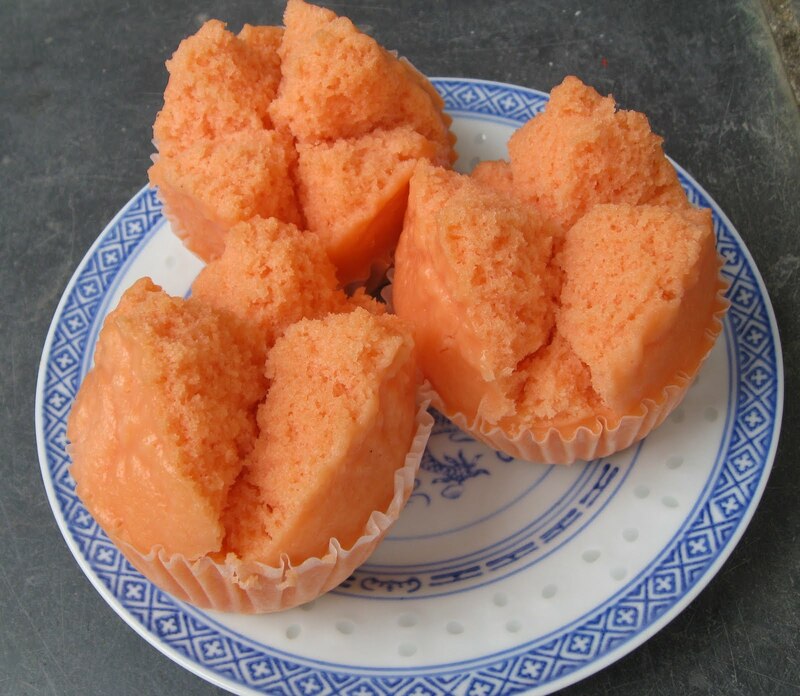 Well,the different is the pink color was made by your truly yours and the orange color huat kuih made by my mom.Of course,the orange color huat kuih look pretty and huge compared with the pink color huat kuih. 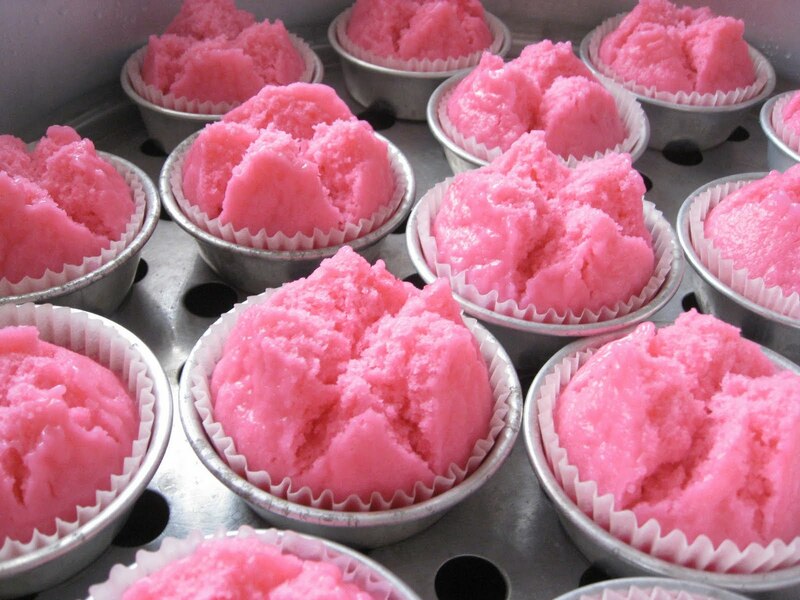 The only complained my mom make about the pink huat kuih was the steamed cake is not really blooming(huat)tall and big as she likes.She said I should fill the batter fully to the top,then the huat kuih will look great! !Well,I'm stingy! lol! 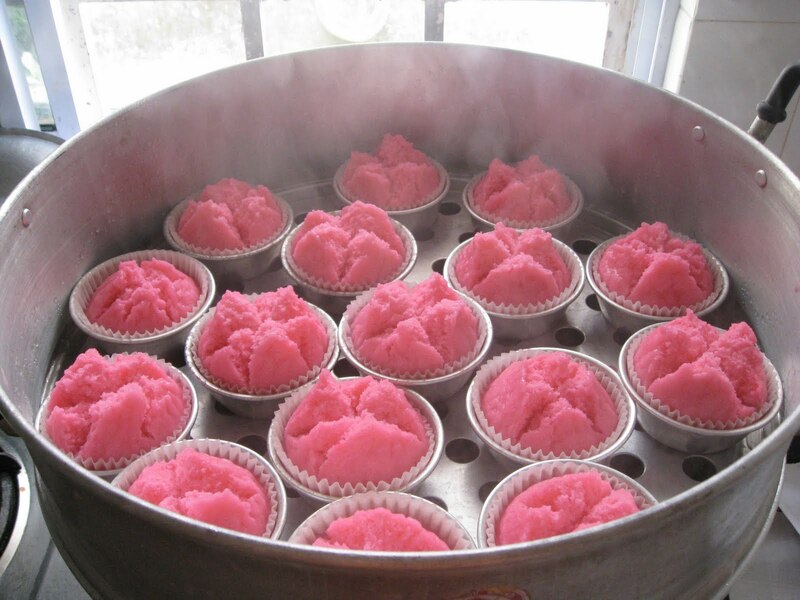 So the next lunar calender my mom make her huat kuih without my help!! 5:Pour mixture into small cups and moulds until full.Steam at high heat for about 15-20 minutes or until cooked. Wow, sui sui, very beautifully huat! The fatt koh look very nice! 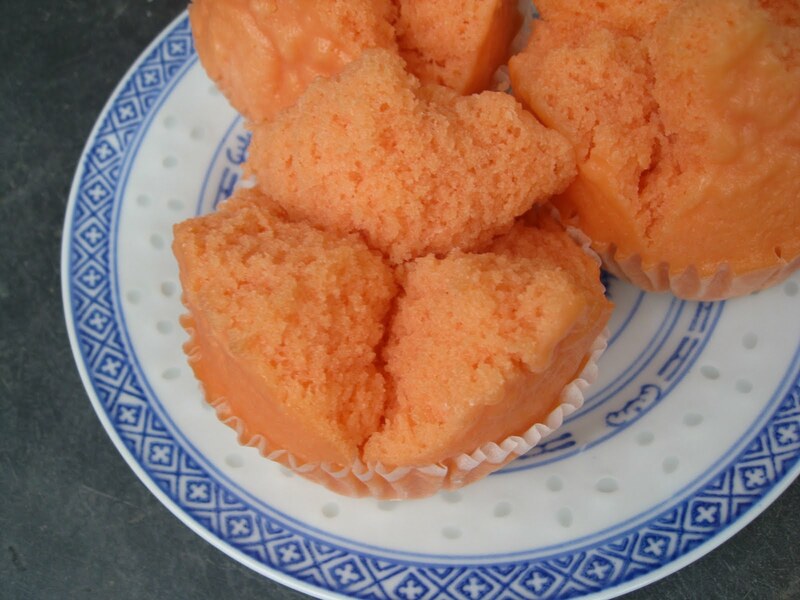 thanks..actually I'm the one who gave my mom the recipe and told her how to make huat kuih...in the end her huat kuih look much better than mine! 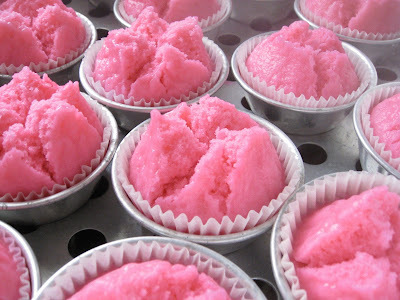 haha!this time I'm going to buy some tapai ragi back wt me. May I know what is "tapai ragi"?